“The Sacrament of Penance is not like going to the Laundromat to wash away the dirt, it is to receive God’s loving embrace,” according to Pope Francis. 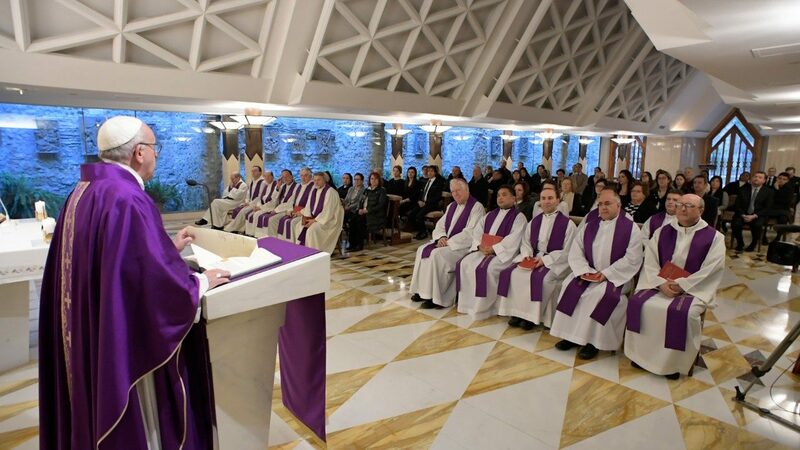 He made his remarks during his March 22, 2018, homily during mass at Casa Santa Marta in the Vatican, as reported by Vatican News. The Holy Father went on to remind the congregation that “the Lord is ever faithful and that he never forgets us, and this gives us reason to rejoice and to hope”. Citing the day’s reading from Genesis, the Pope recalled God’s covenant with Abraham, which He will remember “forever”. Francis said God’s love for us is “visceral” – like that of a mother and father for their children. “God cannot disown himself, he cannot disown us, he cannot disown his love, and he cannot disown his people,” the Pope said: “because He loves us and this is the faithfulness of God”. “No. We go to Confession to receive the love of this faithful God who always awaits us. Always”.